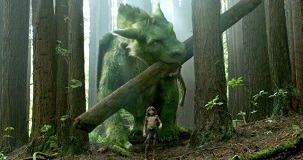 One of the unexpected success stories to have emerged from a generally dreary summer movie season, Disney reboot Pete's Dragon has generated deserved acclaim for its massive heart and wide-eyed sense of wonder. A remake of the 1977 live-action/cartoon blend, it's the story of eponymous orphan Pete (newcomer Oakes Fegley), a kid left stranded in the forest following a tragic car accident that killed his parents, and the friendship he shares with dragon Elliot, one that eventually comes to have a profound impact on the local town of Millhaven. Under the sensitive and atmospheric direction of Ain't Them Bodies Saints director David Lowery, a strong cast including Bryce Dallas Howard, Robert Redford, Karl Urban, Wes Bentley and Oona Laurence give beautifully emotional performances, all lending firm ballast to the movie's terrific blend of fantasy and reality. Another triumphant aspect of the movie is the gorgeous score from violinist and composer Daniel Hart, here continuing his association with Lowery following Ain't Them Bodies Saints, 2009 movie St. Nick and 2011 short Pioneer. 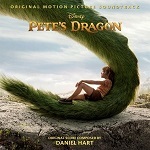 Despite his standing as a popular musician and performer in band Dark Rooms, Hart remains something of an unknown quantity as a film composer; however if there's any justice in the world, Pete's Dragon will catapult him into the ranks of the A-list, as he has conjured one of the most soaring and rousing family film scores in recent memory, one that proudly continues the legacy of such things laid down by the likes of John Williams, Jerry Goldsmith, James Horner and Alan Silvestri. Whereas the original movie was a musical, famous for the likes of Candle in the Water by Helen Reddy (itself treated to a cover in this soundtrack by artist Okkervil River), the reboot is a straight-ahead dramatic tale in which Hart's music occupies more of a traditional underscore role. However this isn't to diminish his achievement, or the way in which his score effectively weaves around popular hits from the likes of The Lumineers and Leonard Cohen. In fact Hart himself collaborates with folk singer-songwriter Bonnie Prince Billy on bookending number 'The Dragon Song', and this becomes one of two central ideas interwoven by Hart throughout the score. The main theme for Pete himself, a haunting and evocative four-note piece that glimmers with a sense of childhood wonder and adventure, emerges subtly in opening track 'An Adventure', subsumed beneath locale-specific acoustic guitar, plus choir, and giving a wonderfully rustic feel. As tragedy strikes during the film's opening sequence, the music takes on a decidedly more menacing turn before the emergence of skin-prickling wonderment in 'Are You Going to Eat Me', chimes and choir lending a palpably wondrous air to Pete and Elliot's first encounter in the forest. Once again, the guitar is present to prevent a slide into glib sentiment whilst ensuring a suitably earthy tone. We're then restored to a moment of pure exuberance with flighty strings, hand claps, lively violin accompaniment and soaring choir in 'Brown Bunny', 'Tree Fort' and 'Reverie' (the latter with overtones of John Powell's classic How to Train Your Dragon scores) before the haunting 'North Star' reprises the 'Dragon's Song' material in wistful fashion. The wavering solo string figure in the latter is quite lovely in exposing the bond shared by two lonely souls. Pete's theme leads the way in the gorgeous, gravitas-laden 'Bedtime Compass', one that lends a genuine sense of orchestral dignity to the relationship shared between the young boy and his fire-breathing friend. 'Timber' contains more lovely rustic textures akin to Thomas Newman's The Horse Whisperer, fiddle and guitar evoking the sweep of the film's American landscapes (although it was actually shot in New Zealand). The influence of another composer, the aforementioned James Horner, rears its head in the tentative strings of 'Breathe', the music seemingly on the cusp of some sort of revelation, material that is reprised in the following 'Gavin Knows What He's Doing' as the darker musical statements for Karl Urban's hunter antagonist, tapping percussion and rowdy brass contrasting with outbursts of Pete and Elliot's themes. That said the music never becomes too overbearing - the brass flourishes are pure family adventure and Hart knows exactly where to draw the line. 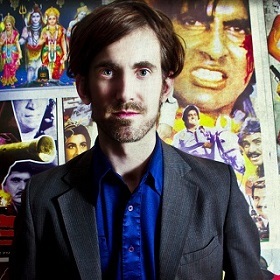 The more dramatic material for Gavin and his pursuit of Elliot takes over in the lively and visceral onslaught of 'Takedown', 'Follow That Dragon' and, especially, 'Elliot at the Bridge', the latter opening the taps on the orchestra and really plunging the listener into a life or death situation. Expertly interspersed with this are delicate moments of gossamer-light beauty, whether it's the cooing choir of 'You Are Not Alone', whose heartfelt strings indicate the developing bond between Fegley and Dallas Howard's characters, or the tender, undulating nature of 'Elliot Lost', in which Pete's theme is cleverly used to accentuate the friendship that is slowly been riven apart by external forces. 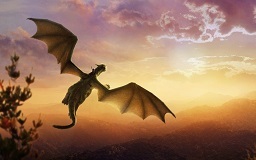 Meanwhile 'It'll Be Like It Used To Be' rises on a majestically grandiose statement of the dragon theme. The climax of the score is of course where Hart really turns up the emotional intensity, following in the footsteps of his forebears as he gets the hairs rising and the tears prickling. A brief statement of Pete's theme in 'Abyss' soars up in triumph, trilling woodwinds and choir prepping us for what is to come before the voices majestically rise up again in 'North Star', beautifully evoking a feeling of flight. Yet still, this is but an entree to the hugely powerful climactic two-hander of 'Saying Goodbye' and 'The Bravest Boy I've Ever Met', Hart clearly relishing the chance to let rip with as much force as he can muster in the manner of Williams, Horner, Goldsmith or any number of his great influences. In the film itself the emotional impact of the music is sensational, and the same can be said of the album experience on its own terms, Pete and Elliot's themes getting the best possible send-off with strings, winds and choir taking to the heavens. When it comes to a film composer catching their big break and seizing the opportunity with both hands, such instances rarely get more successful than Daniel Hart's work on Pete's Dragon. Although a noted musician in his own right there were question marks as to how effectively he would adapt to the needs of a sweetly sentimental Disney movie; the answer, as it turns out, is magnificently. Not only has he been able to retain his own distinctive air of bluegrass and folk in the form of the various instrumental solos; he's also demonstrated a stunning ability to let rip with an orchestra in a manner that is viscerally powerful yet utterly sincere without a hint of mawkishness. Pete's Dragon is almost certainly one of the best scores of 2016 and if there was any indication that Hart's profoundly melodic voice deserves yet more blockbuster showcases in future, this it. The score album is available from these links at the following stores - Amazon.co.uk and Amazon.com (although strangely Amazon calls this the "Korean Edition").